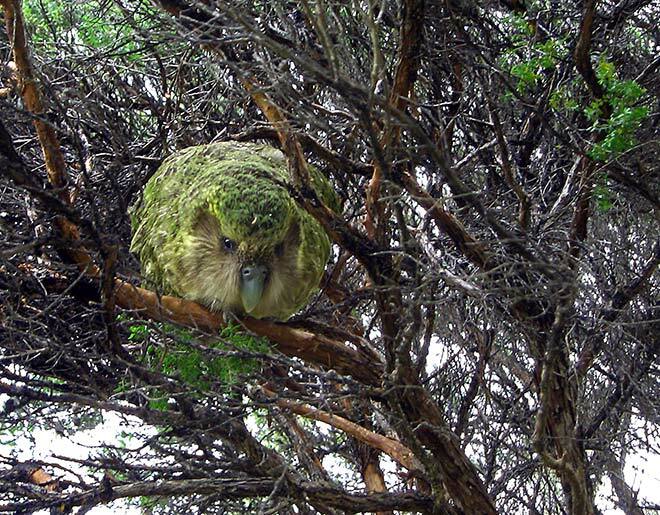 Being flightless doesn’t prevent kākāpō from climbing trees. When the birds were more common, Māori complained about them getting into food stores – they were sometimes considered a pest. On the other hand, some were kept as pets – Governor George Grey described a pet kākāpō, saying it interacted with humans as a dog would.